What does the second part cover? get deeper into mongoDB documents handling, i.e.accesing embedded documents etc. While using native BSON objects in order to save/ read documents in mongoDB we want now to use custom DTO's to have more control. To continue with the previous example we want to create users in a better way now. Therefore we create a new package "dto". Within this package we create a new Class "User". What do theses lines of code mean? Well the first thing to mention is that we are now a subclass of BasicDBObject, which in fact allows us later on to save this DTO straight to a collection without converting or anything. Then we need a way to save data to a document and also read data back from it. Therefore we added to the getters and setters "put" and "get" to save and retrieve data. That's all we need to configure a POJO to be a mongoDB document. Now we have to change our MongoDBHandler class to use the newly created User.class. We now store directly a User Object into the collection. This gives a main advantage over storing just a String as we did before, because now we are able to inlcude nearly anything into the object. Note that we have to call setObjectClass on the collection, to let it know which Type gets stored. I think the getAllUsers Method is self-explanaining. Note: You also have to adjust the interface IMongoDBHandler to apply to the new methods! As you can see there are only little changes needed. With this technique you have a kind of a ORM that helps you in developing new Object structures accessing mongoDB. What about having embedded documents in one document? Well, this part is not as obvious as one could imagine. The problem with the mongo-java-driver is that it cannot automatically convert those documents (e.g. a BasicDBObject) into your "Address" object. When referencing Address in a page you would instantly get a com.mongodb.BasicDBObject cannot be cast to de.boehme.app.tapestry_mongodb.dto.Address Exception. That's why we have to convert the embedded document first into an usable object. What is this method basically doing? It gets the original unconverted document and the target class as input. Then via reflection API we just copy the complete content by calling "putAll" to the newly created object which in turn is now converted and ready to get used. As this kind of work is tedious when having multiple embedded documents, I created a more advanced method that searches through one document for embedded documents and recursively converts them. That means if one embedded document also has embedded docuements they also get converted and so on. 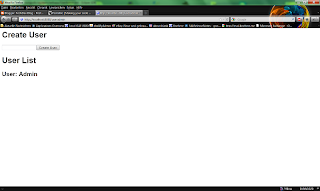 The code itself is commented so you should understand whats happening there. Remarks: If you still encounter errors as com.mongodb.BasicDBObject cannot be cast to de.boehme.app.tapestry_mongodb.dto.XYZ then you should delete old mongoDB database files from your dbpath. 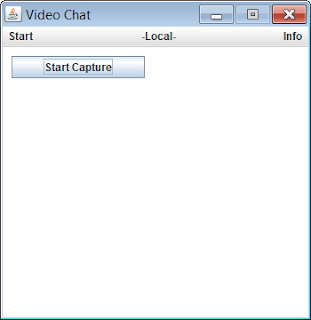 This is the first time I am going to present a tutorial! The topic is, as the title already states, a step by step tutorial using the NoSQL database MongoDB with the according java-driver in Tapestry 5. I assume you already have set up Eclipse with Maven. Click Next. Click Next again. 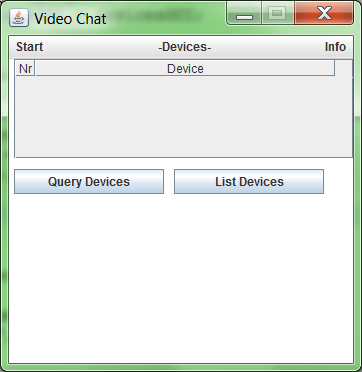 Then choose the one with artifactId "quickstart" and version "5.1.0.5"
Type in your groupId, artifactId and click on Finish! 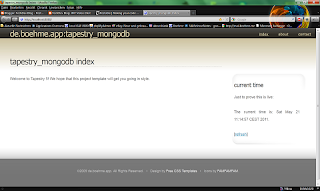 So now you got a basic Tapestry 5 Project correctly set up we need to configure additional dependencies we need to run mongoDB. 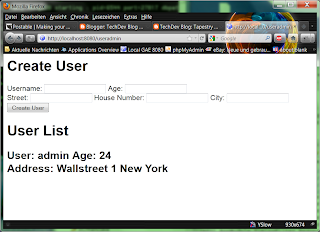 Type into the textfield "org.mongodb". 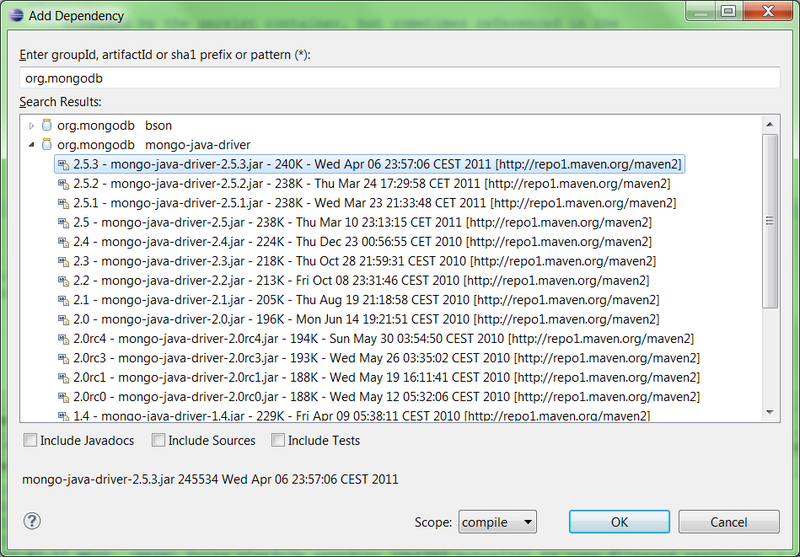 Then choose the mongo-java-driver 2.5.3 or newer. As we want to run our application on Jetty 7 we have to refactor the POM file a little bit. Replace this at the bottom of your POM to set up the embedded jetty version. 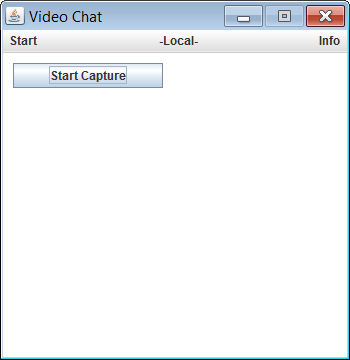 OK now that you have set up the basic part we can test run our application. Rightclick your project in the workspace and choose "Run as" --> "Maven Build.."
In the upcoming popup type into the "Goal" field : "jetty:run". 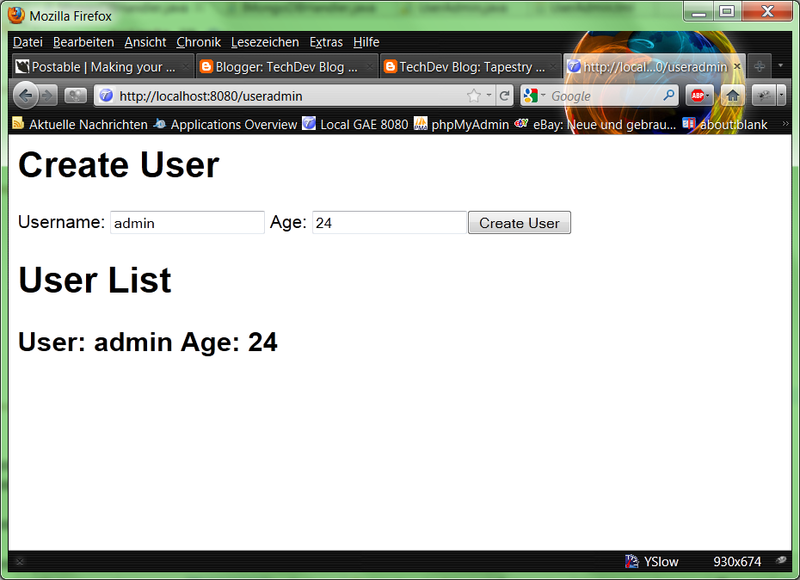 Remark: For simplicity I removed all standard archetype generated pages + .tml files to have a better overview later on. As we want to have access in our Tapestry Page through injecting a service we have to create a new Java Class in the services package. Lets call it MongoDBHandler. This class has to implements the interface IMongoDBhandler which we also create in the same package. What does these code lines do? Well when we inject this service into a page and it will be used for the first time across the whole application it gets instantiated, thus the constructor gets called which leads to a connection to the MongoDB. 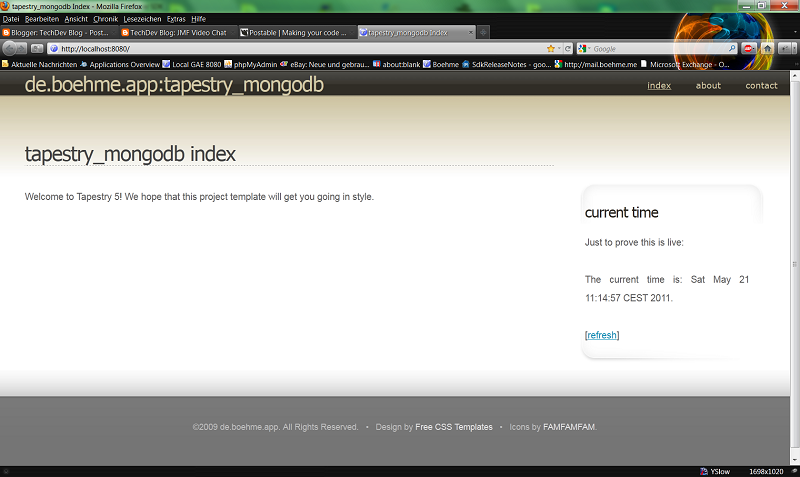 Additionally we "activate" the database "tapestry_mongodb". If this database does not exist it gets automatically created. 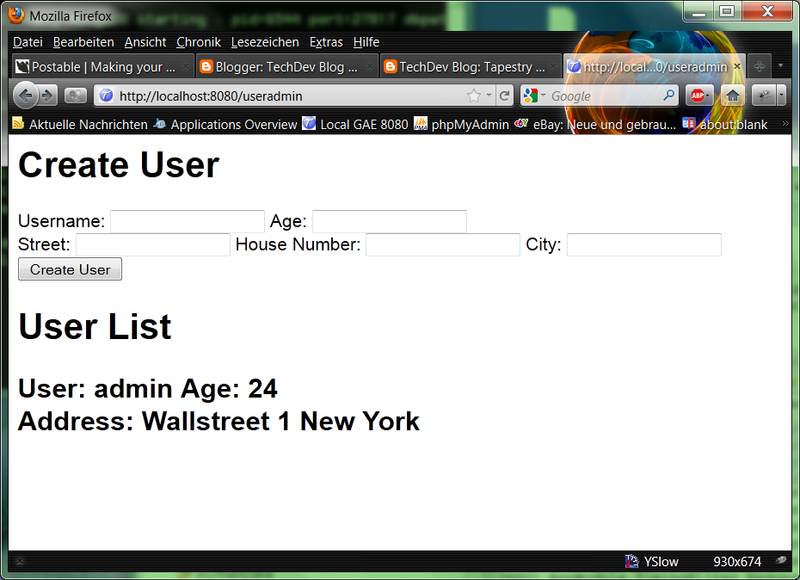 For instance we would like to create a new "User" and save it to the database. Therefore we need to add new method called "createUser" and for the output a "getAllusers" method. Now we can finally create our Tapestry Page. If you enter now a name e.g. 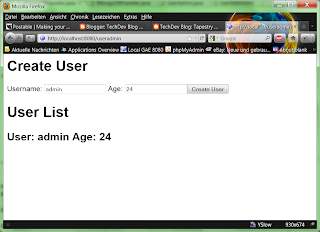 Admin and click on "Create User" a new document will be created and saved to MongoDB. 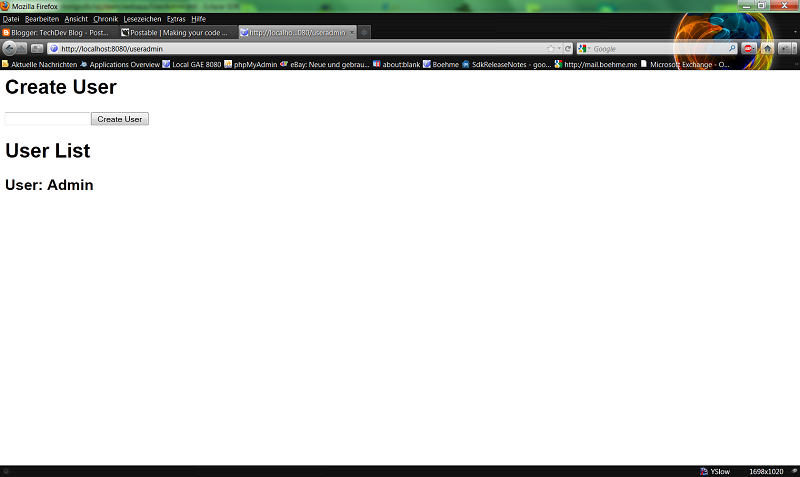 Additionally you see a full list of all "Users" underneath. That's mainly everything for Part 1. The next part will be about using DTO's in order to be more object-oriented. And we will build our own ORM in order to get the most out of mongoDB!